Architectural visualisation and graphic design continue to be desirable skills for architecture and design practices. Here are five roles available on Dezeen Jobs for junior designers, including positions with Handel Architects and Conran and Partners. Handel Architects is on the hunt for a junior graphic designer to join its team in New York. 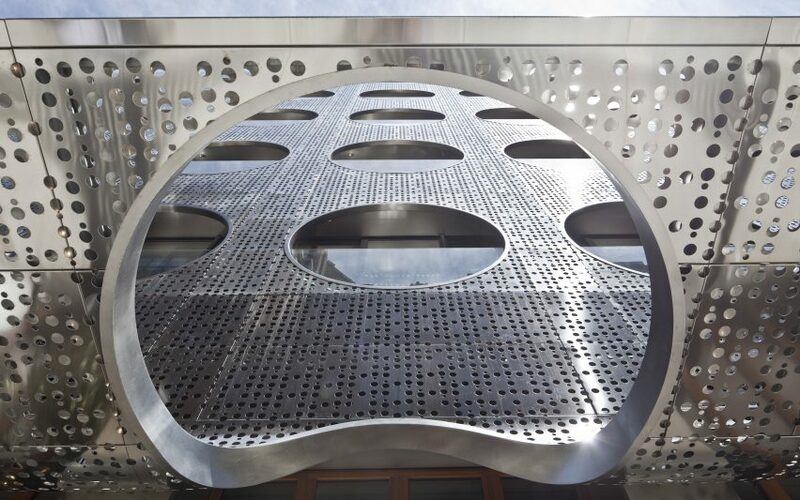 The American firm designed the Dream Downtown Hotel in New York with a perforated metal facade cut with create circular windows for the guest rooms. London-based architecture firm Conran and Partners spent 11 years redeveloping Futako-Tamagawa Rise in Tokyo, a 20-hectare masterplan on Tama River which, includes four high-rise towers, shops, offices, a city park and a cinema complex. The practice is recruiting a junior architectural visualiser to join its team in London. Emre Arolat Architecture is looking for a qualified junior designer to be based in its office in New York. Terraced landscaping and a cave-like prayer hall feature in the studio's Sancklar Mosque near Istanbul, Turkey. Lipton Plant Architects designed this glazed extension for a house in north London, offering residents views out to the garden and between various levels. The studio has an opportunity for a talented 3D visualiser to join its expanding studio in London. The Boundary is seeking a junior visualisation artist to join its London office. The visualisation studio designed these foggy renderings which depict a 30-storey mixed-use tower in Nairobi, Kenya designed by Richard Keep Architects and Henry Goss Architects.